In 1948, when the first Arab-Israeli war broke out, her grandfather, at the age of 12, had to leave his house in the Palestinian town of Jenin. He spent many years as a refugee in Al-Karama, in the Jordan Valley; in 1969, he moved to Al-Husn, which was first a camp of tents, then became a camp of cement bricks small houses, piled one on top of the other. Here is where 60 thousand palestinian refugees live and where Jenin was born. She knows where her family comes from, and she sees her grandmother crying many times, remembering her homeland. Sad and happy memories mix together. 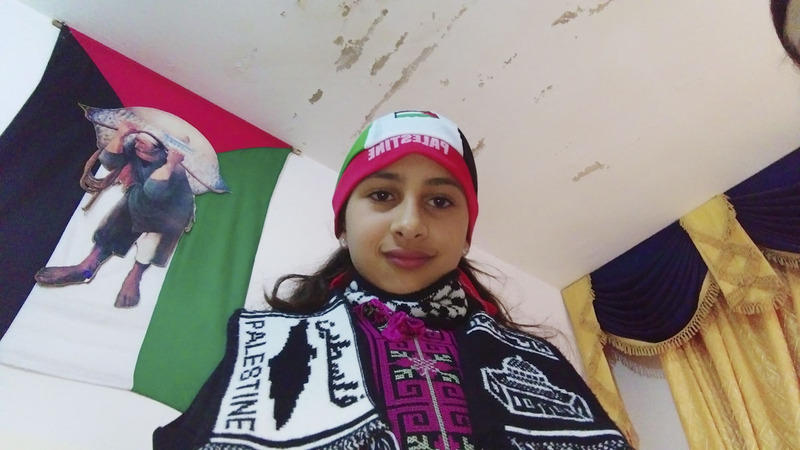 Jenin has learned several poems from her grandmother, by the Palestinian poet Mahmoud Darwish, she recites them with great empaty and intensity. It is hard to forget your homeland, your roots, it is something you inherit like the language when you are a child. And stays with you forever.